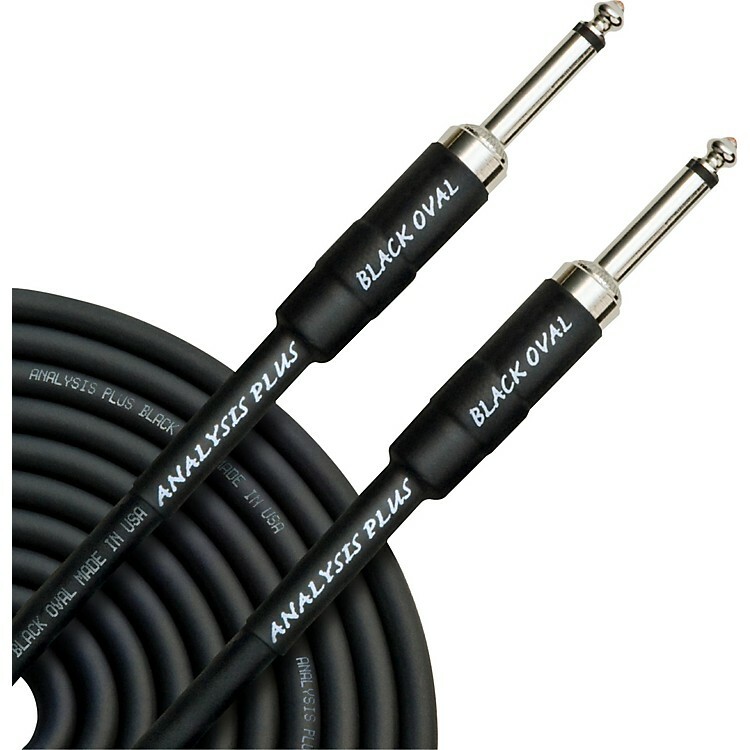 Analysis Plus Black Oval Instrument Cable 1/4" Straight 20 ft.
An American-made cable with a hollow oval center conductor. What Analysis Plus considers its best flex-and-feel instrument cables, the Black Oval series is an ROHS compliant, completely green cable that sounds as good as it feels. The instrument cable has 20 gauge conductors, a conductive sheath to eliminate microphonics, and an oval center conductor with a hollow oval return. This version has 1/4" straight plugs. The cable, connectors, packaging, and it's design are all done in the USA. FInd out why this cable received an "Editor's Pick" from Guitar Player magazine. Order today.